Tomy's Zoids robot toy kits have been loved by fans in Japan and around the world since 1982. 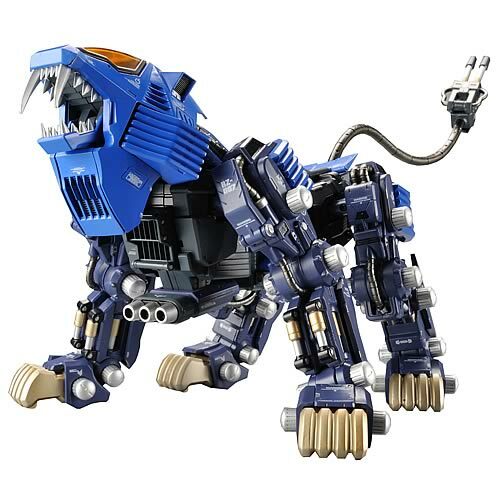 Originally, they were wind-up and battery-powered toys, but the new Zoids Shield Liger Die-Cast Action Figure is a totally different beast-- literally. With 24 points of articulation and 90 die-cast metal parts, it doesn't walk around like the old ones, but it does have a heft that you won't see in other kits. What's more, the 17-inch long monster includes 5 different pilot figures, interchangeable fangs, stickers, and other gear specially designed so you can customize it the way you see fit. It's remarkable, and a real centerpiece in your collection. Pre-order yours now! Pre-Order now and we'll deliver in February 2011 (estimated date / subject to change).